Jim Miron is dedicated to enforcing the safety rules that protect everyone in the community by seeking justice for people whose lives have been changed by rule breakers. He has been practicing personal injury law for over 25 years. With decades of legal experience, you can count on Jim to represent your best interests with knowledge and integrity. We value your trust and provide the high-quality service you deserve. 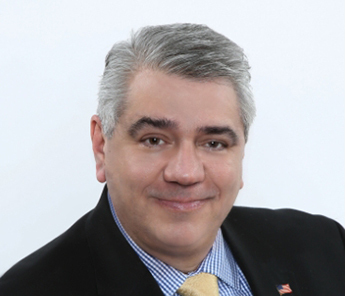 Jim Miron is a partner at the leading law firm Zeisler & Zeisler, P.C. As such, you can count on larger law firm resources combined with the personalized attention of a boutique office. Call 203-339-5991 today for a complimentary consultation in Bridgeport, Connecticut. My family and I were struck by a drunk driver. We were in shock. And I was hurt. Jim took care of everything - from dealing with the insurance company to making sure we got the medical care we needed. He really cared about my family. Jim made a terrifying time in our lives easier. Jim Miron is an experienced trial attorney who helps those seriously injured by holding wrongdoers responsible for their reckless, careless, or negligent actions. Jim understands the emotional, medical, and legal challenges faced by his clients and is proud to fight for their rights in order to get them the justice they deserve.